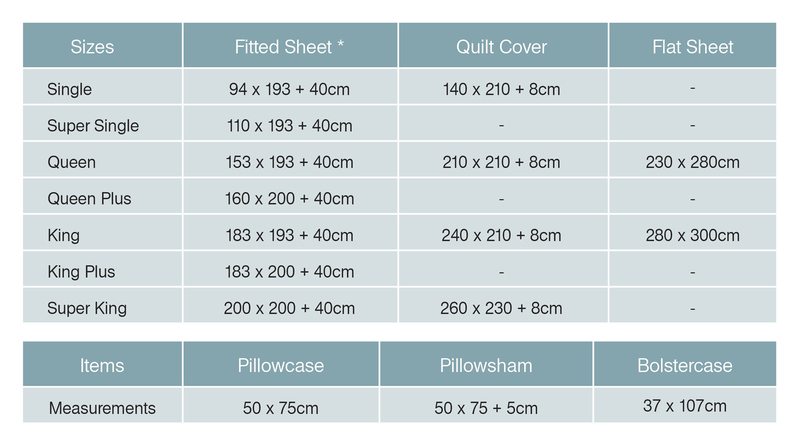 Our bed sheet and bedding sizes fit Singapore and Malaysia standard mattress, pillow and quilt perfectly. It supports thick mattress up to 40 cm (16 inch ) height. For other countries, we advise you to check your local mattress and bedding measurements accordingly.